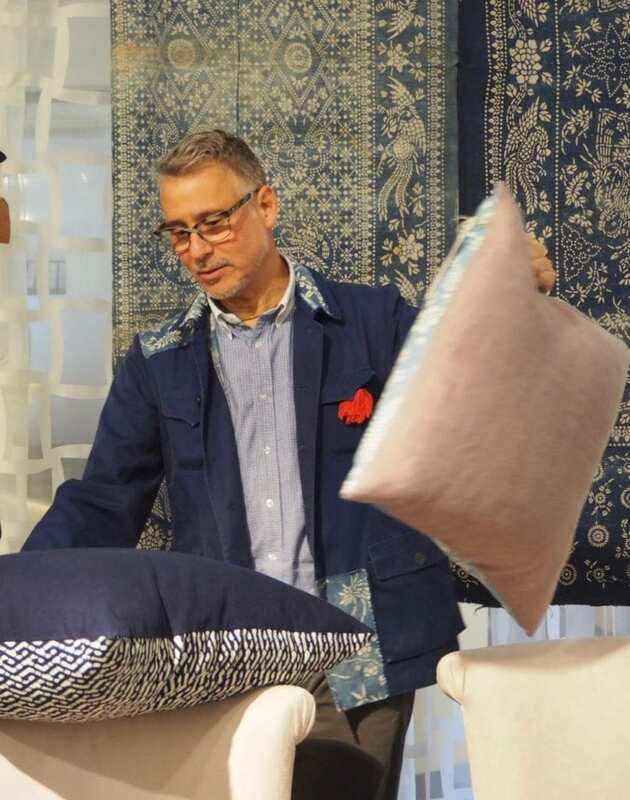 Having spent 25 years working internationally in visual merchandising, store design and brand building for the likes of Ralph Lauren, Levis and Alfred Dunhill, John Abbate changed direction in 2011, first by designing his own range of up-cycled furniture and later relocating to Shanghai where he set up his own retail consultancy, became a visual merchandising professor at Mod’Art university and creative director at Design Overlay. Living in Shanghai, he became aware of the numerous houses across old parts of the city that were being demolished to make way for new high-rise blocks. 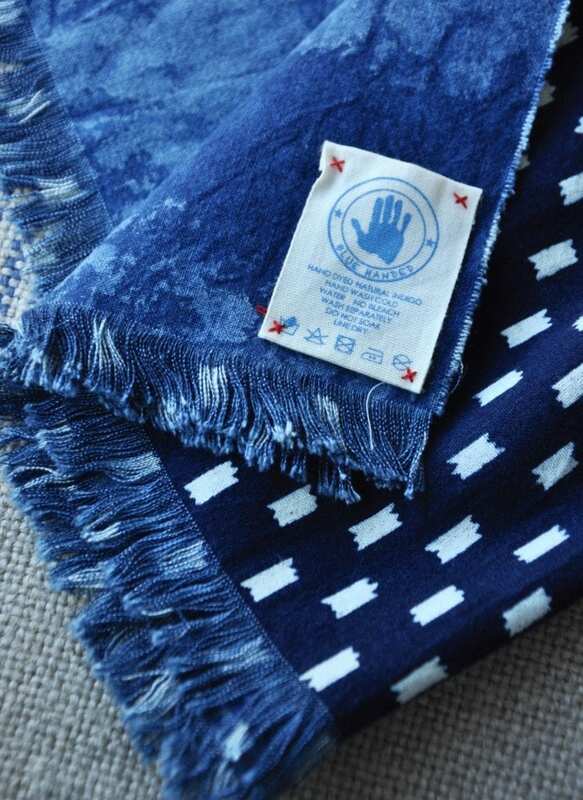 Somewhat serendipitously, it was a patterned indigo textile remnant, picked up on one of these demolition sites that captured John’s imagination, crystallized his growing beliefs in the slow fashion movement and set him on the path towards creating his Blue Handed textile label. 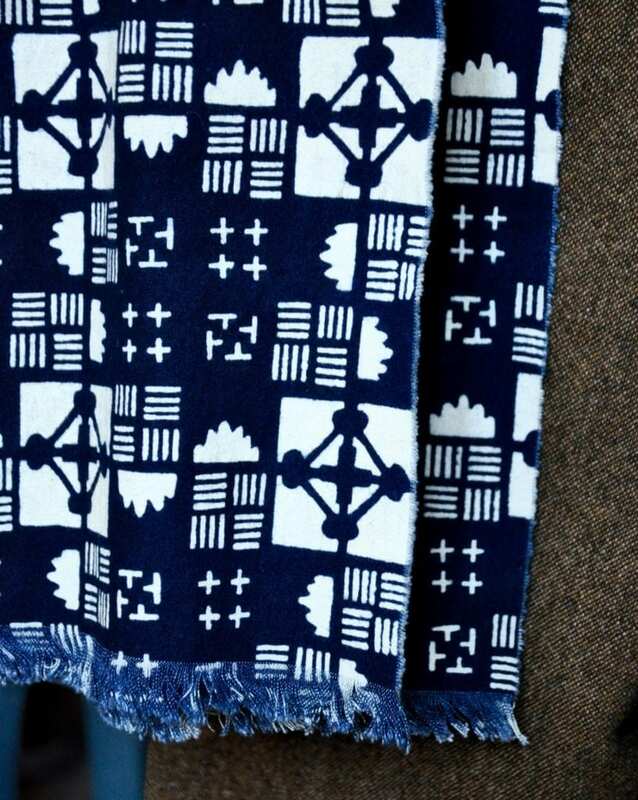 After a little research in the city’s museums, John discovered that the patterned fabric remnant – traditionally used to make food bags and offered as wedding gifts – was representative of a rich, Chinese, textile heritage centred around the 800-year-old art of Chinese resist printing with ‘blue grass’ or indigo dye. 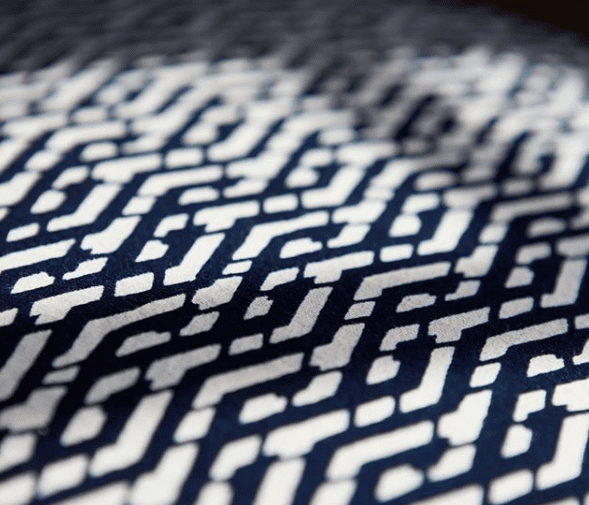 The Mandarin name for indigo dyed toile or calico is Lan Yin Hua Bu or ‘blue-printed flower cloth’ – a poetic name that ties it firmly to a vast and historic archive of floral designs, which also comprises centuries-old geometrics with a surprisingly modern feel. 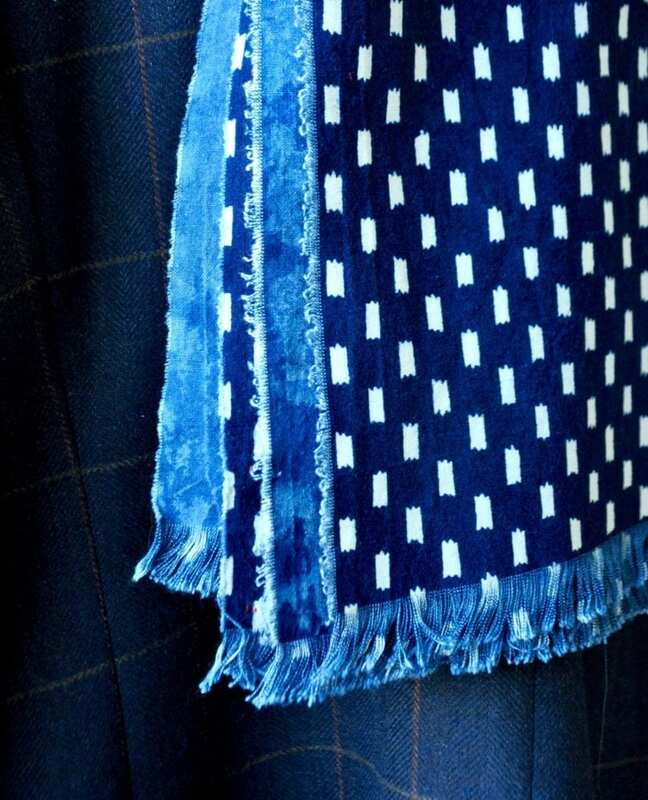 Coming from a family of craftsmen, John had always championed the artisanal and the hand-made, recognizing the potential connection with high-end, luxury merchandise while at the same time rejecting mass production and fast fashion. 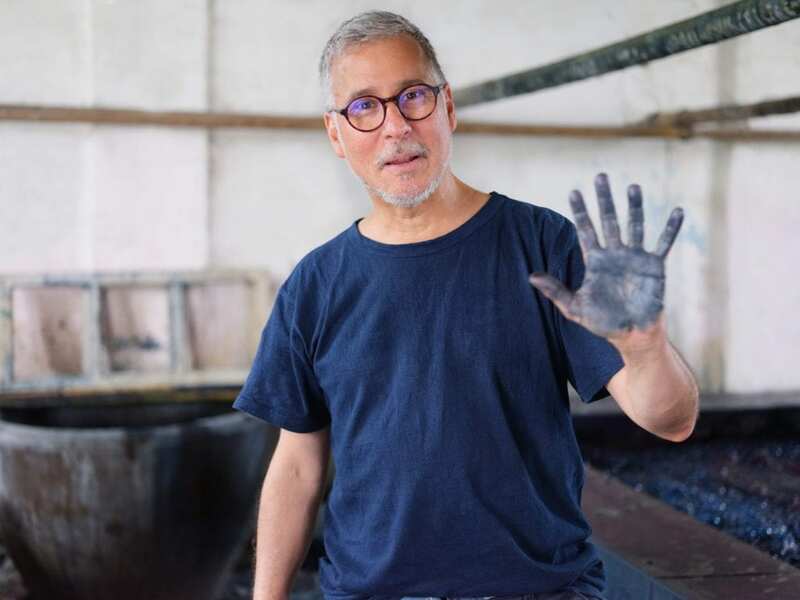 A keen proponent of indigo and it’s applications both for fashion and home, and having rediscovered this ancient method of production, John is articulate in his defence of the slow fashion movement. 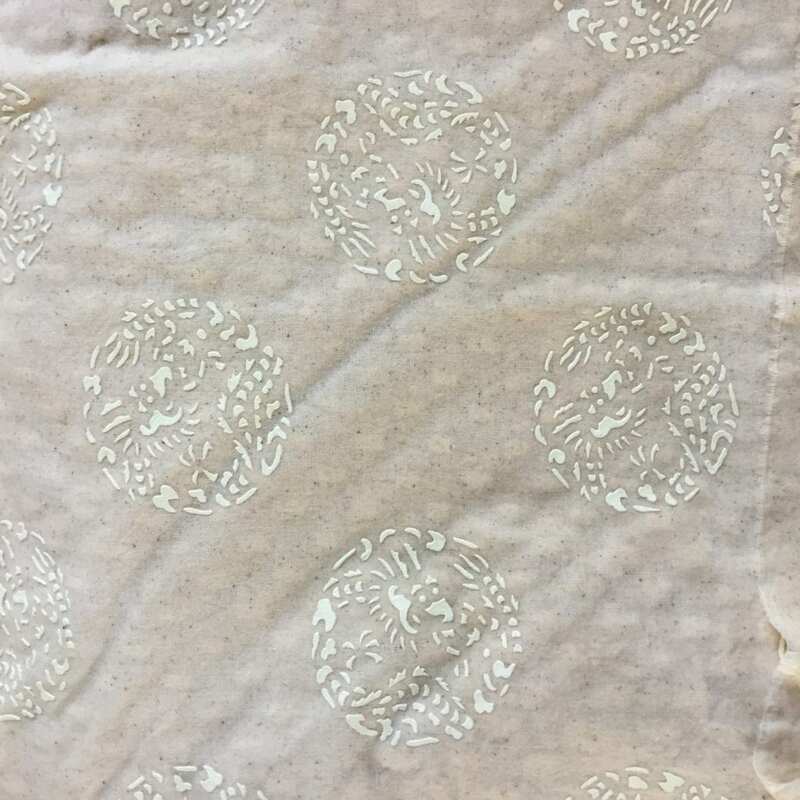 ‘Not only do hand-made textiles preserve cultural heritage and sustain local communities who supply the natural materials and ingredients’ he explains, ‘traditional techniques often result in minimal wastage or pollution, ensuring the material produced is both ethical and sustainable’. John tracked down a small, family run firm in Eastern Jiangsu province, whose dyeing techniques, unchanged for centuries and handed down through four previous generations, are overseen by a highly-skilled Master dyer with over 50 years experience – an expert recognised as a national treasure by the Chinese authorities. 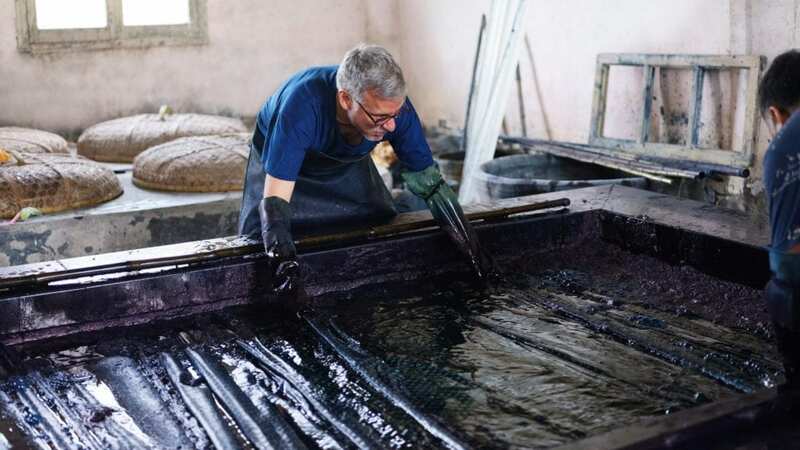 The dyeing process itself involves decorative, traditionally hand-cut patterns being applied to cotton which is then coated in a resist paste of soybean and lime, before being soaked in a specially formulated vat of natural, indigo plant dyes. 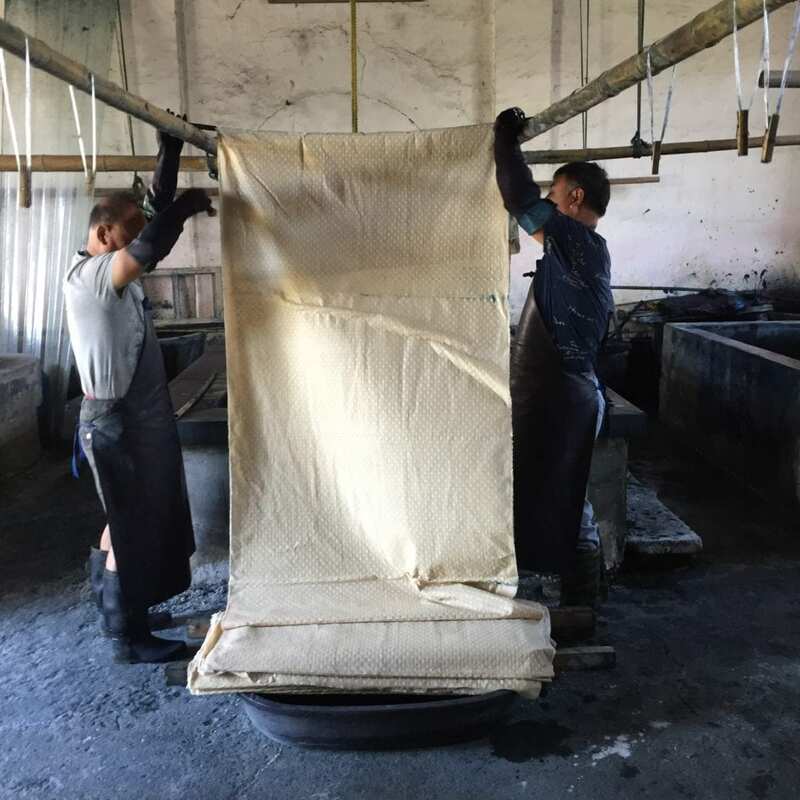 ‘The vat at the workshop has been in continuous operation for over two decades,’ John explains ‘and the particular species of indigo plants used to create the dye ensure an incredible richness of colour’. 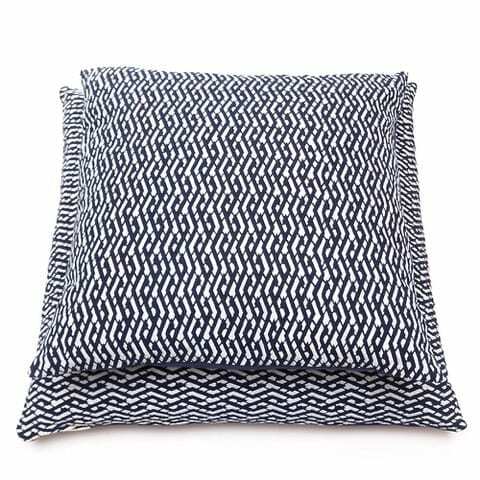 Click here to see our edit from the Blue Handed range of fashion accessories and homewares, selected for their versatility and rhythmical simplicity. 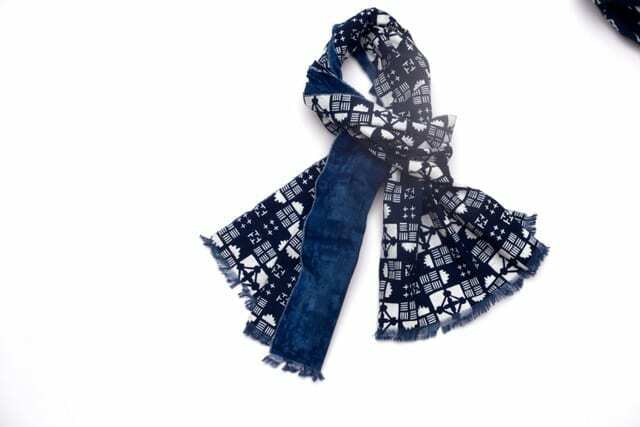 Stylish, unisex scarves perfect for banishing the cold on chillier Spring days and elegant, lattice-print cushions redolent of Eastern decorative arts and furnishings. 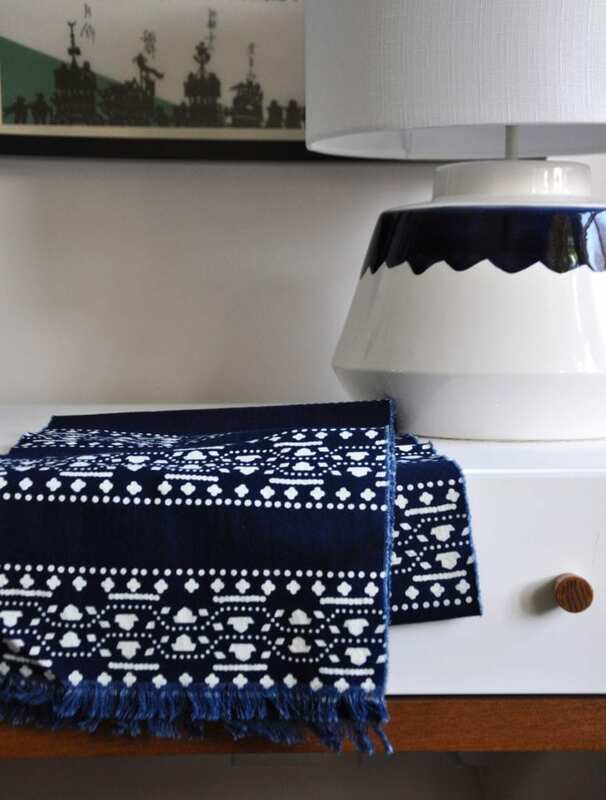 Slow fashion and hand-made homewares rich in colour and craft certainly work for us. Your thoughts? 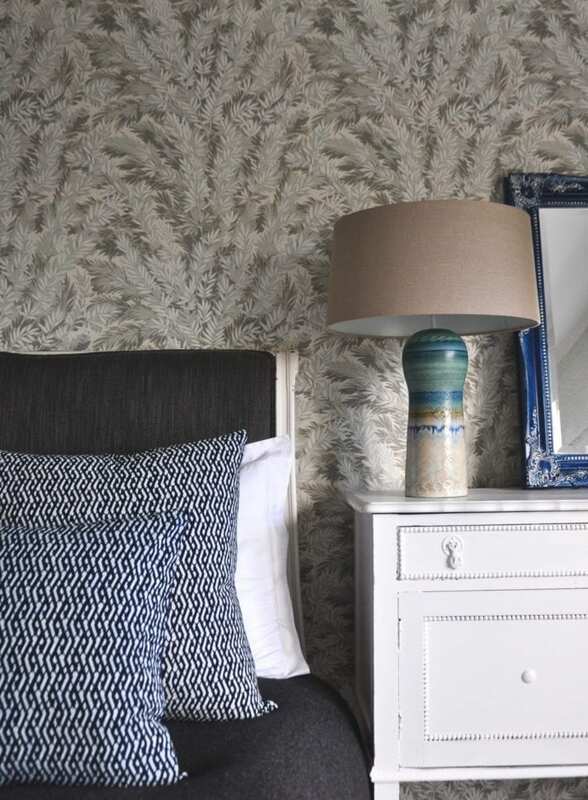 Sign up below for our fortnightly newsletter – with the odd global style alert in between – packed with home styling & decorating tips, fresh and directional room schemes, new products, subscriber offers and travelogues for interiors fans or anyone with magpie-like tendencies…(of course you can unsubscribe at any time). 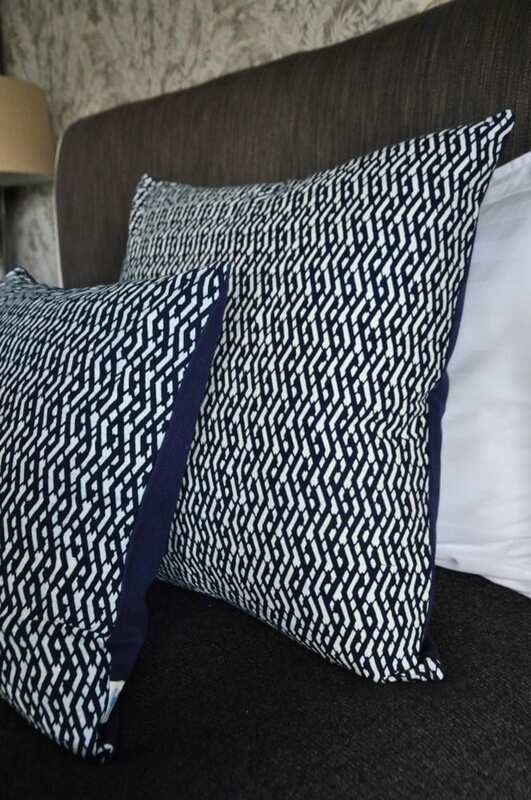 This entry was posted in TS Meets and tagged blue, china, chinese heritage, cushion covers, indigo, indigo blue, indigo cloth, indigo textiles, printed textiles, resist printing, scarves, slow fashion, textiles.